Old school permanent makeup has a tendency to turn blue over time and have an overall unflattering look--and that just doesn’t cut it in 2018! Years of frustration with improper pigments already on the market led Eye Design founder and Master Technician Nadia Afanaseva to create her own range of microblading and semi-permanent makeup pigments. Thanks to this first-of-its-kind formula, our semi-permanent brows and makeup never turn blue! But it is not only the pigments that make all the difference, it is the technique, artistry and skill that goes into our work here at Eye Design. Instead of a cookie-cutter or a stencil--trust us, there is not such thing as universally flattering semi-permanent makeup--our technicians create a custom look for each and every client, tailored to his or her unique features and own desires. So, the results from both our Soft Shadow Eyeliner and Defined Eyeliner procedures always look gorgeous! Think of Eye Design’s semi-permanent Eyeliner treatment as the upgraded version of traditional tattooed makeup. The customized shape and color never smudges or runs; that way, it always looks professionally drawn. A defined shape can be applied to both the top and bottom lash lines. 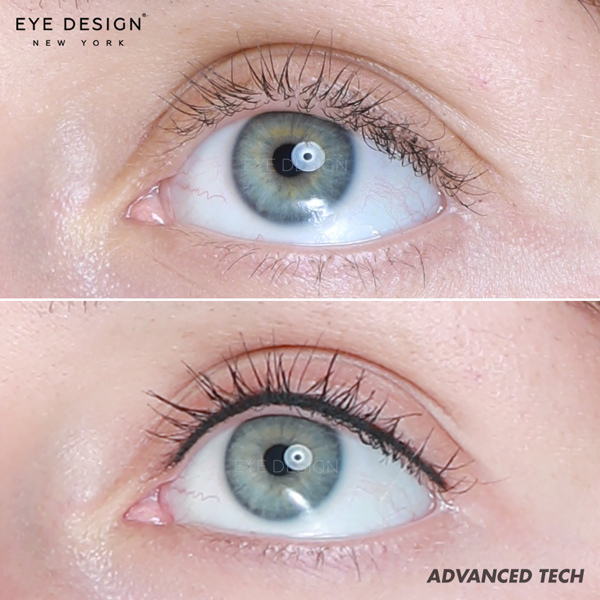 Of course, the style and size is completely up to the client, making this treatment perfect for clients who wear pencil or liquid eyeliner regularly. Eye Shadow semi-permanent makeup is very similar to Eyeliner, but with a shaded ombré look, as opposed to a clean line. This treatment still adds plenty of depth and definition to the eyes--without the look of eyeliner. For those who prefer a smoky eye look, Soft Shadow gives you just that. It creates the appearance of fuller eyelashes with a soft and diffused shape drawn along the lash line. For natural-looking definition that instantly volumizes the lashes, Soft Shadow is great for those who wear lash extensions, as well as for those who don’t. While this treatment reduces the need for regular refills, it is also ideal for those with light and sparse natural eyelashes.